Cosmetics that contain vitamin C in their composition, I have the impression that they have recently gained enormous popularity. Today, I will tell you about one of these cosmetic and a little about the same vitamin c. I invite you to read. As most of us know, vitamin C has a very good effect on the condition of the skins e.g restores glow, strengthening blood vessels and has anti-acne effects,so worth added her into skin care routine. On the market are many cosmetics of this type in various consistencies, concentrations and price ranges. If you follow my posts, you know that recently I tested The Ordinary Suspension23% which completely failed me, so I decided to check something else in a more liquid form and the choice fell on It's skin Power 10 Formula VC Effector. 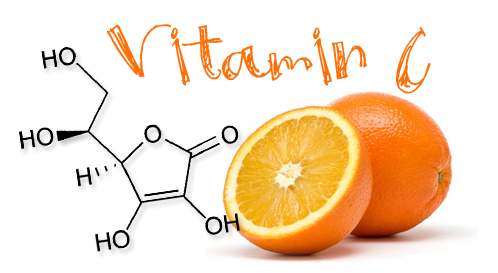 The ascorbic acid contained in Vitamin C has a great effect on the skin. Effectively fights with free radicals, allows you to enjoy longer young appearance, but also helps in the fight against seborrhea and acne. However, it must be remembered that ascorbic acid is very sensitive to oxidation. Always close the packaging and store in the right place. You can safely use the vitamin C serum every day, regardless of the season. This is a Korean brand product which costs £8.56 for 30 ml and is available, among others, in online stores. For easy and convenient application it's equipped with a pipette. As for the cosmetic itself and its influence, I must admit that I like using it. I see a slight improvement but probably I will not buy this cosmetic again. Has the consistency of a colorless gel-liquid which is not sticky. After applying the skin doesn't burning , itches or doesn't have any unpleasant feelings and quickly absorbed. I am a bit annoyed with this pipette because it's quite poor quality and it's hard to get out liquid. After prolonged use the skin looks more radiant and healthy although I was expecting a little more. I don't know what is the level of the vitamin itself in this product because unfortunately I couldn't find such information anywhere but it seems to me that not so high. As soon as I finish the Power 10 Formula VC Effector I will buy something with a higher concentration of vitamin C. I think that this is a good cosmetic for less demanding who don't have many discolorations and just want to have skin in good condition, for me it's not a sufficient product. Do you use vitamin C in your skin care?